It seems that the future of digital cameras is changing and heading towards the mirrorless cameras. These impressive mirrorless digital cameras pack large sensors into compact bodies, offering image quality that is far superior to point-and-shoots, and even matching the quality of the DSLR camera without its bulk weight and volume. And unlike other compacts, you can buy interchangeable lenses at the focal length or zoom range of your choice. As the lens choices continue to expand, buying a mirrorless camera makes more sense now than ever before. The differences between DSLR and mirrorless camera are discussed in my previous post, I recommend reading it to be aware of some new terms. In short, the DSLR camera is fitted with an internal mirror that bounces the image acquired through the lens up towards a phase-detection autofocus (AF) module in the ceiling of the camera before exiting through the optical viewfinder. Once focus is acquired and the shutter button is pressed this mirror raises up, exposing the sensor and capturing the image. In a mirrorless camera, however, there is no internal mirror, so light passes straight through the camera and directly onto the sensor. 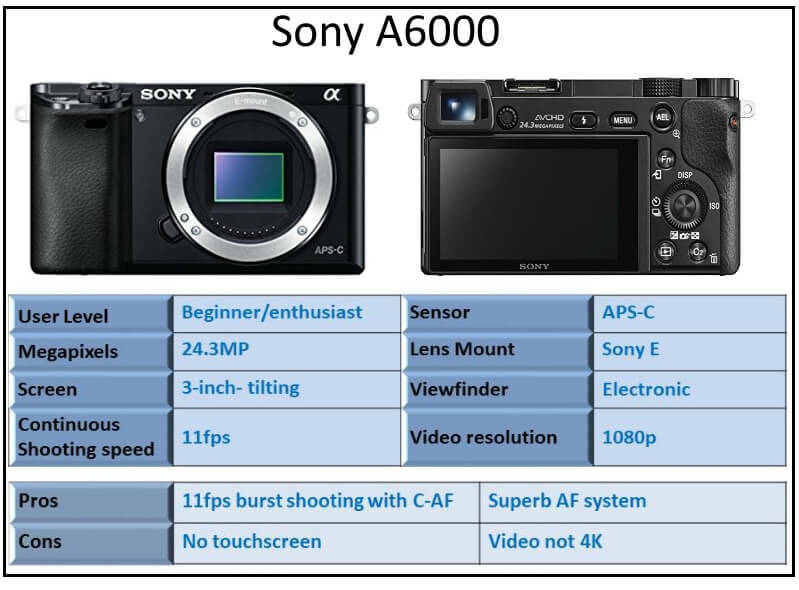 When mirrorless models first came out, they don’t have autofocus using phase detection. They only use contrast-detect technology to acquire focus, which is slower than phase-detect AF. 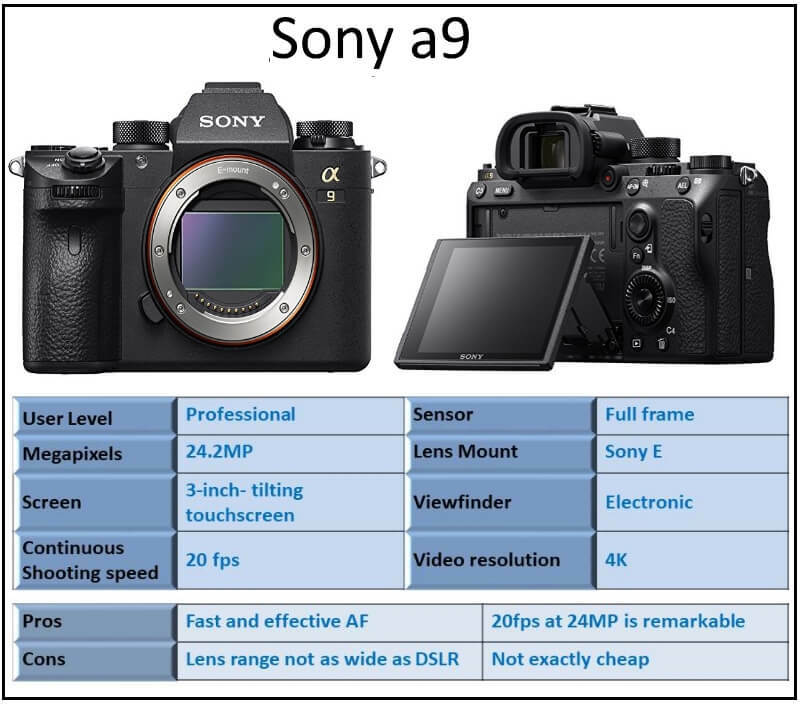 However, these days many mirrorless cameras use on-sensor phase-detection AF, often in combination with contrast-detect AF to produce AF speeds that rival those of DSLRs. In addition, the fact that there’s no mechanical mirror means mirrorless cameras are generally capable of much higher continuous shooting speeds. In this post, I will start by suggesting advice for buying a mirrorless camera; then presenting a list of top rated camera. Mirrorless cameras are still relatively new, with most having been released in the last five years. Accordingly, the lens selection is less varied than it is for Nikon and Canon DSLRs, which have been on the market for decades. I recommend giving serious thought to the camera system you are buying into when making a purchase. For example, if you buy a Micro Four Thirds camera and start compiling a small collection of lenses, it’s very likely that you will want to stay in the Micro Four Thirds family when upgrading your camera. This is typical of the old Nikon vs. Canon decision for digital SLRs: once people choose a side, they often stick with it for the duration. The effect of the sensor size on the effective focal length, depth of field, and exposure are explained in my post >>Full Frame vs Crop Sensor<<. The sensor size has a great impact on the photo quality. 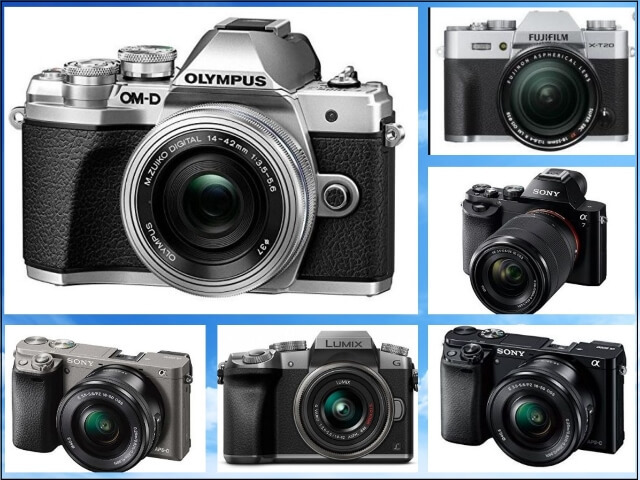 The two most common sensor types of mirrorless cameras are APS-C (Sony and Fujifilm) and Micro Four Thirds (Olympus and Panasonic). 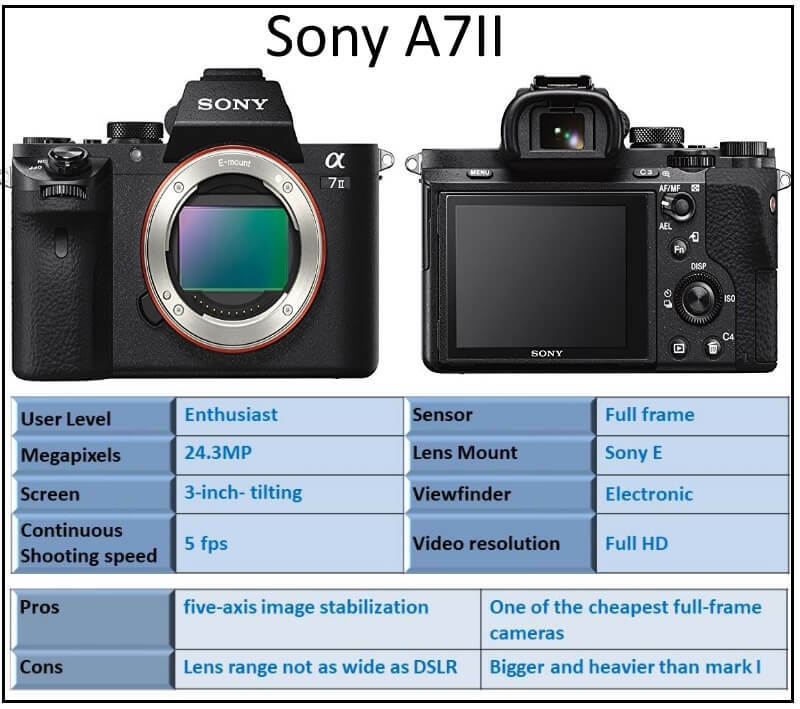 Sony’s A7 series of full-frame mirrorless cameras boast full-frame sensors, the second largest in this category to Fujifilm’s new medium format GFX 50S. 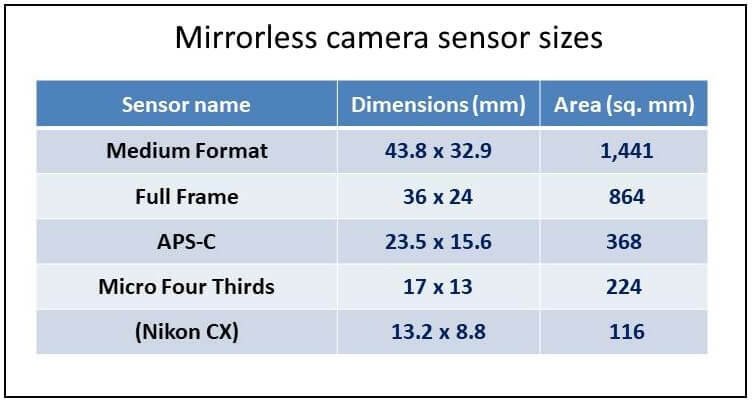 The table below shows the dimension of common sensor sizes. 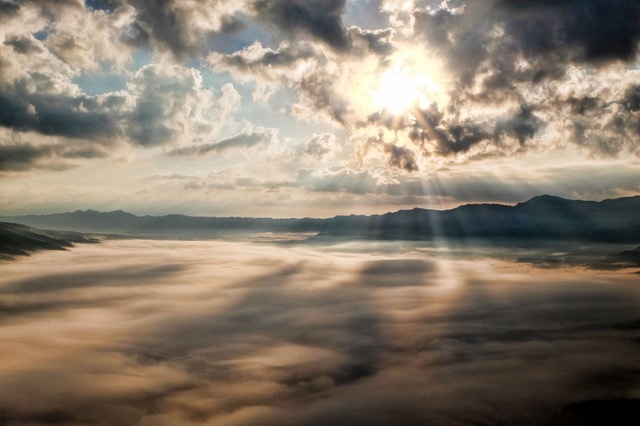 Megapixels matter, but not nearly as much as marketers would lead you to believe. Given that the majority of image sensors are either Micro Four Thirds or APS-C, you get fairly comparable image quality from the image sensors. If you buy quality lenses, any megapixel count on this list will perform very well. One of the biggest differences between entry-level mirrorless cameras and mid-range and high-end models is the inclusion of an electronic viewfinder (EVF). Without EVF you align images and shoot via the LCD screen on the back much like you would with a point-and-shoot camera or smartphone. It is a desired and important trait for serious photographers. You shouldn’t overlook the importance of autofocus in your buying decision. You should look for a camera with both phase detection and contrast detection with higher multiple points. Multiple focus points help improve accuracy, so the more the better. In addition, Contrast Detection is slower than Phase Detection, and cross-type sensors are more accurate than simpler vertical line sensors. Some mid-range and high-end mirrorless cameras are weather sealed for added protection from the elements. Weather sealing varies by manufacturer and model and there aren’t universal standards, but the process involves adding rubber sealing and housing on the body and around the buttons to make the camera more resistant to moisture and dust. So make sure that your chosen model has this feature. Sony made an incredibly fast AF system (a 693-point phase-detect), the tracking performance needs to be seen to be believed. Also, it has a very fast burst shooting that is capable of shooting at 20fps and a large and bright EVF that doesn’t black out when you’re shooting. It has also an amazing 4k video format. 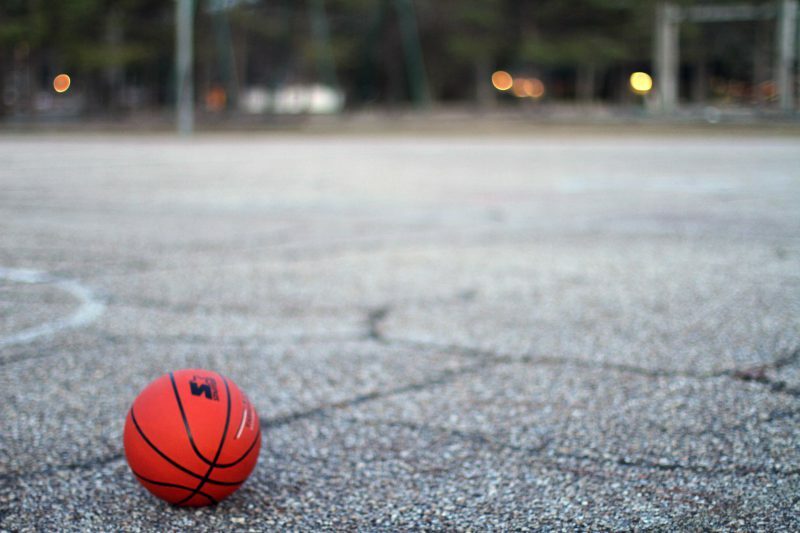 You’ve got a camera that can mix it with the best that Canon and Nikon have to offer when it comes to shooting action. It minimizes blur in every shot with the world’s first in-body 5-axis image stabilization in a full-frame camera. With image stabilization built it into the body of the camera itself, mounted lenses—even A-mount or non-Sony lenses using an adaptor 2—can utilize the 5-axis image stabilization for both still images and video. It even enhances lenses that already have optical image stabilization systems. Sony Alpha a7II can capture stunning images with 24.3MP resolution, a 35mm full-frame sensor, a normal sensor range of ISO 100–25600. It has a fast hybrid autofocus system utilizes 117 phase-detection points and 25 contrast-detection points. You can view every scene in rich detail with the XGA OLED True-Finder, which features OLED improvements and 3-lens optical system. You can shoot movies with Full HD 1920 x 1080 video in cinematic 24p, or capture fast action at incredible 60p and 60i frame-rates. You can easily shoot fast-action and candid photos, and benefits from the 24.3MP detail and the world’s fastest autofocus. The α6000 captures 11fps frames per second in continuous shooting mode with AF (Auto Focus) tracking by making the most of the wide-area 179-point phase-detection AF sensor. Sony Alpha a600 has a newly developed 24.3 megapixel Exmor APS HD CMOS image sensor, which allows you to take high-resolution photos, also you get stunning detail in in low light from ISO range 100 – 25000. The OLED EVF features a new optical system with four double aspherical lenses that deliver 100% frame coverage and a wide viewing angle (approx. 33°) for clear visibility from corner to corner. The viewfinder faithfully displays what will appear in your recording, including the effects of your camera settings, so you can accurately monitor the results. Compared to traditional DSLRs, this FUJIFILM mirrorless camera is lighter, more compact, and capable of producing professional-quality photos without the bulk. The FUJI X-T2 allows you to retain the color, sharpness, and detail in your photos with the 24.3MP X-Trans™ CMOS III sensor, which eliminates the need for the low-pass filter. This T-X2 model enables the user to focus fast on subjects—even low-contrast and high-texture objects. Enjoy taking photos and videos better with the camera’s large viewfinder. With a magnification ratio of 0.77x, it’s like you’re shooting with much better eyes. The X-T2 can get power from multiple batteries to enable continuous shooting for longer periods and shorten the shutter release lag in between shots. 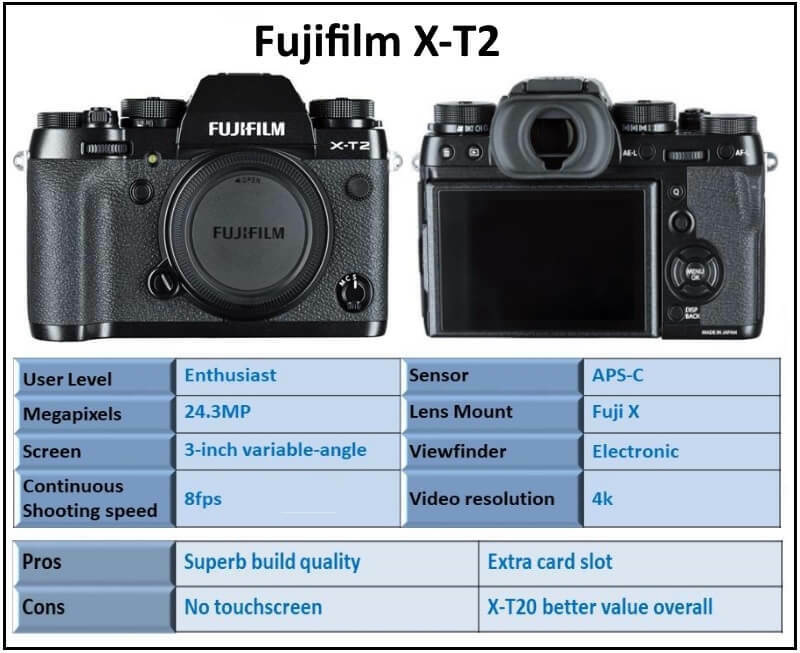 Among digital cameras that deliver high-quality video recording, the X-T2 provides up to 1.8 times more information to record 4K video (3840 x 2160 pixels) and 2.4 times more than the required information for a full HD video (1920 x 1080 pixels) to create an unparalleled image and video quality with less blurring and detail loss. The Fujifilm X-T20 offers fully manual operation thanks to a shutter speed dial, exposure compensation dial. It also has an advanced SR Auto for intelligent, fully-automatic shooting mode, you can choose between 91 or 325 focus points. The faster and more accurate phase detection pixels cover 50% (side-to-side) and 75% (top-to-bottom) of the frame. The Fujifilm X-T20 features a 2.36M-dot organic EL electronic viewfinder. 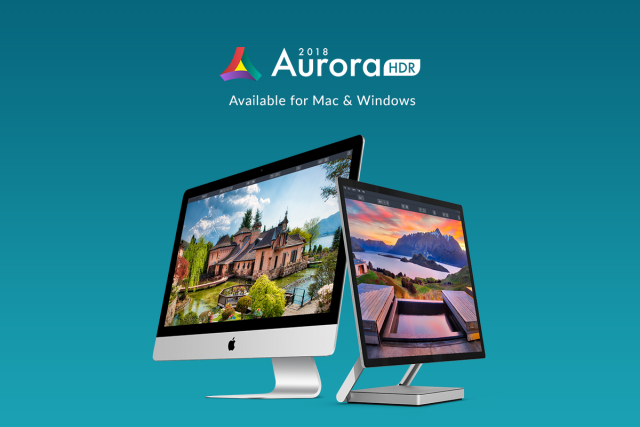 It uses four dedicated lens elements for a clear, high-resolution image showing 100% of the image area that can be viewed even in bright outdoor conditions. It shows the effects of Film Simulation and exposure settings in real time, so you can take photos knowing exactly how the image will turn out. The Fujifilm X-T20 features a 3.0-inch 1.04M-dot tilting TFT color LCD monitor & Touch Screen Monitor with a 3:2 aspect ratio. The Fujifilm X-T20 boasts continuous shooting at 8.0fps when using the mechanical shutter and 5.0fps in the Live View mode. 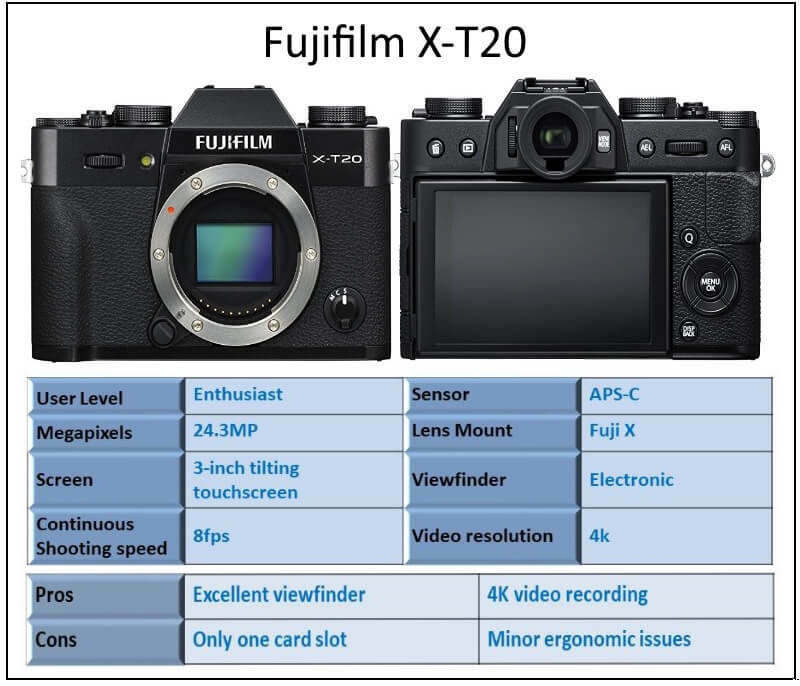 In addition to conventional Full HD video, the Fujifilm X-T20 also supports 4K video for amazing movie quality with minimal moiré and artifacts. The FUJIFILM GFX 50S delivers the world’s best image quality. It combines outstanding resolution of 51.4 megapixels with exceptional tones, advanced color reproduction, and high-performance lenses. 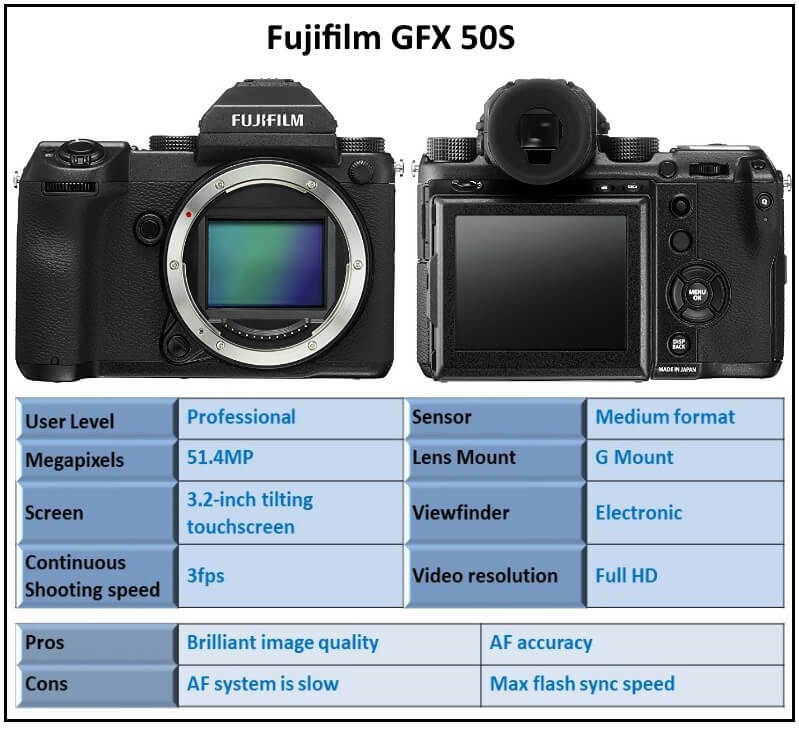 The FUJIFILM GFX 50S features a 43.8×32.9mm CMOS medium format sensor. The FUJIFILM GFX 50S is supplied with a detachable 3.69M-dot EVF with 100% coverage and a viewfinder magnification of 0.85x. It uses five dedicated lens elements to achieve 100% coverage. Also, it has a large Rear Touchscreen LCD Tilts in Three Directions: The rear 2.36M-dot LCD monitor measures 3.2 inches and offers 100% coverage. The smart touchscreen panel enables intuitive operation and tilts in three directions (90° up, 45° down and 60° to the right) for easy framing and shooting from high or low angles. The standard ISO sensitivity range is ISO100-12800, with extended sensitivities of ISO50, ISO25600, ISO51200, and ISO102400 are also available. RAW format is supported at all these ISO settings. The newly-developed focal-plane shutter is the world’s first specifically designed for medium format mirrorless cameras. The E-M1 Mark II captures full resolution RAW images at an astonishing 60 fps in S-AF and 18 fps in C-AF Tracking using the silent electronic shutter, and 15 fps in S-AF and 10 fps in C-AF Tracking with the mechanical shutter. 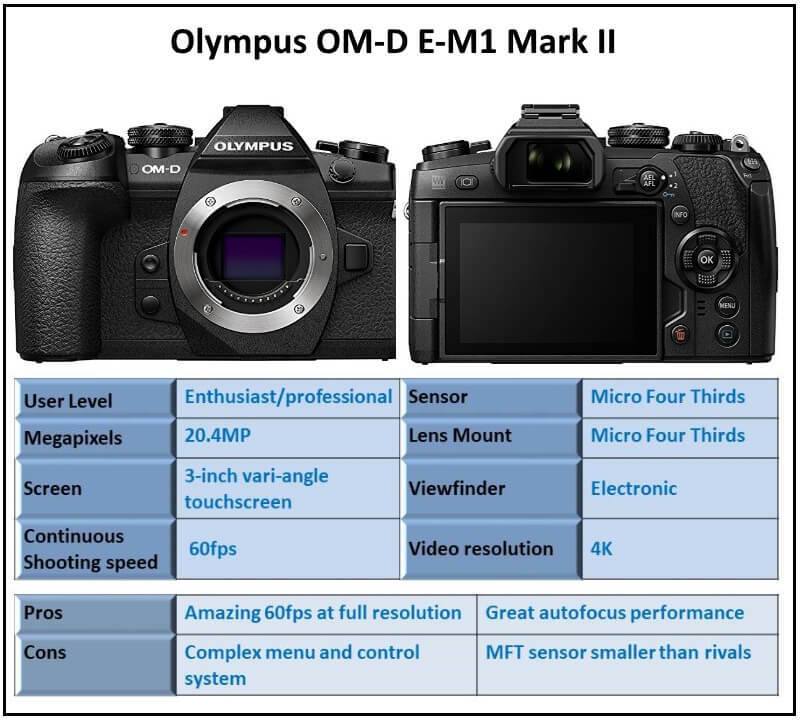 The E-M1 Mark II’s Dual AF system boasts 121 points of on-chip Phase Detection AF plus Contrast Detection AF. Each Phase Detection point is cross-type for superior detection of vertical and horizontal lines. With Olympus’ advanced 5-Axis Image Stabilization, the E-M1 Mark II automatically adjusts for all types of camera motion to provide an incredible 5.5 shutter speed steps of compensation. The using of a combination of 5-Axis Image Stabilization and electronic stabilization that’s optimized for video, allows you to capture ultra-smooth 4K video without a tripod or other stabilizing equipment. Combined with M.Zuiko PRO lenses, the E-M1 Mark II is more compact and lightweight than DSLRs, perfect for comfortable handheld shooting. The metal construction of the camera is hermetically-sealed against dust and humidity. 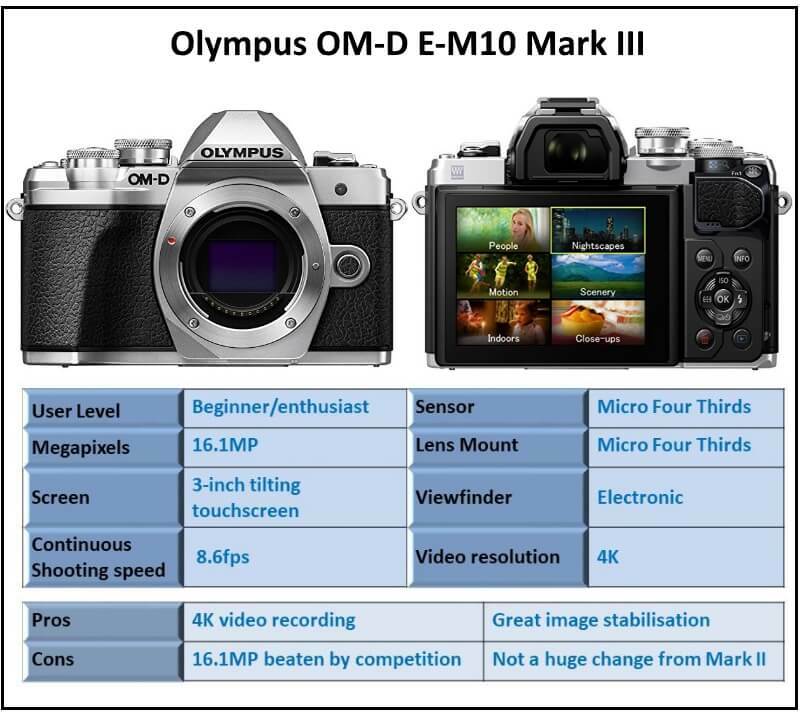 With in-body image stabilization, the E-M10 Mark III automatically compensates for your movement. It makes your handheld pictures and videos razor sharp, even in dimly lit settings. Touch AF lets you focus and trip the shutter with one quick touch of the screen. Simply tap the area of the screen where you want to focus. With virtually no delay you’ve captured the shot. You can capture stunning UHD 4K video and slow-motion video, all handheld. With Clips Mode, easily create movies from multiple short clips, and easily download your pictures directly to your Android or iOS smart device with the Olympus Image Share app, and available Wi-Fi. The E-M10 Mark III is compatible with all M.Zuiko lenses, giving you the flexibility to shoot from any distance and with a variety of different perspectives. 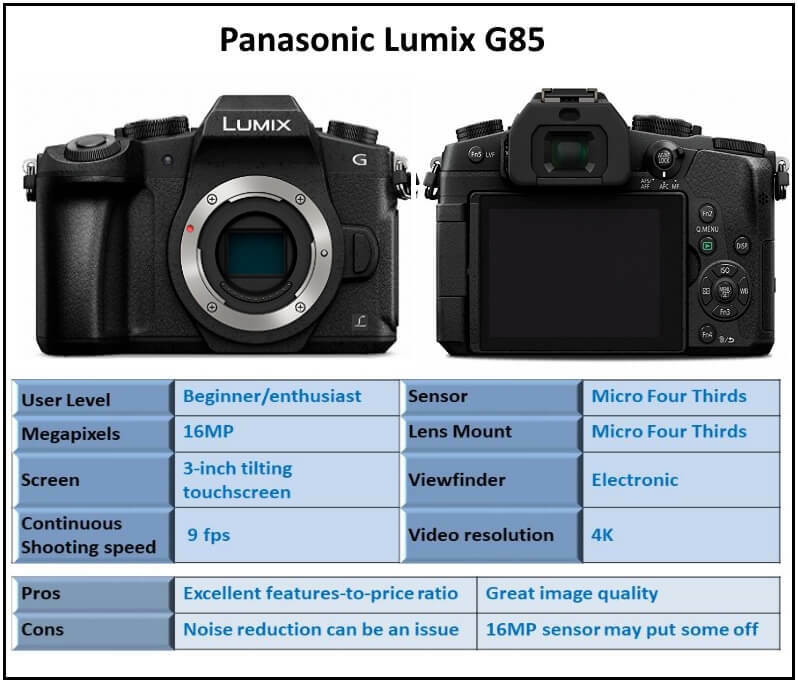 The Panasonic LUMIX G85 offers over 27 LUMIX compact lens options built on the next-generation interchangeable lens camera standard (Micro Four Thirds) pioneered by Panasonic. Its “mirrorless” design enables a lighter, more compact camera body that includes cutting-edge video, audio, creative controls, wireless, intelligent-focusing, gyro sensor control in body image stabilization and exposure technologies not possible with traditional DSLRs. And with the exclusive LUMIX 4K Ultra HD video pause and export as a 4K PHOTO mode, you’ll never again miss that one shot that perfectly captures a scene. Many DSLRs and mirrorless cameras have short recording limits for 4K, the GH5 will continue shooting until the card fills up or the battery dies, and it boasts smooth-as-butter 60-fps 4K. While the video is a big selling point for the GH5, the camera can hold its own among other Micro Four Thirds shooters for photos. The five-axis image stabilization plays a role for both videos and photos, the autofocus is quick, and still, photos are as fast as 9 fps with continuous autofocus or 12 fps with focus locked on the first frame. 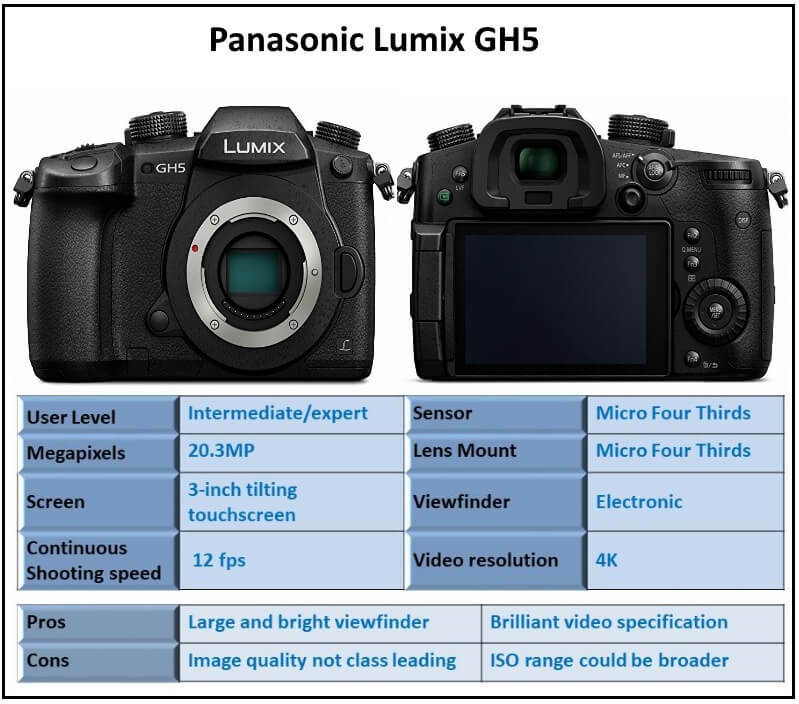 The GH5 also has several Panasonic-exclusive features, including 4K and 6K photo modes where you can choose the focal point later, merge several images together for a sharper shot, or shoot at 60 or 30 fps, respectively.It has a great electronic viewfinder and dual SD card slots. While you can buy cameras with larger sensors for the same price, the GH5 has the best mix of photo and video options we’ve seen yet and outclassed many cameras costing much more when it comes to pro video features. 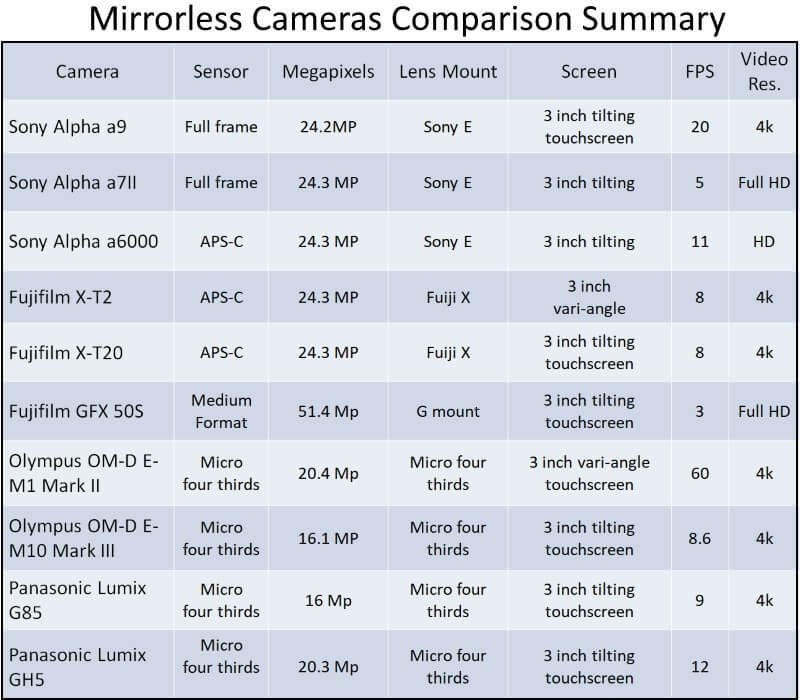 The table below summarizes the important aspects of the listed mirrorless cameras. If you enjoy the site, don’t forget to subscribe, we will only inform you when a new article is posted, also I appreciate if you made your purchases from the above links this supports the site & helps us to improve it. Interesting review!! I like taking pictures with my smart phone especially when I am in trip with my friends .most of the time I feel that I need a camera to do so in a good way as I found it among my hobbies. 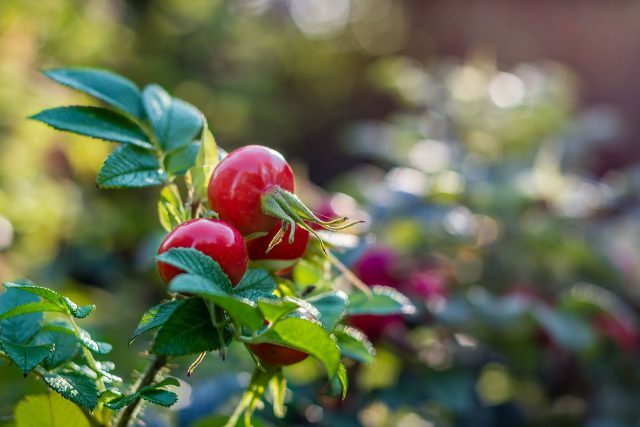 Thank you for sharing with us thes top rated mirrorless cameras because I am sure when I buy one among those ones I will not regret it.